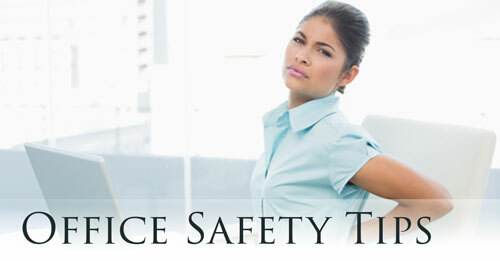 Office safety is very essential in today’s world. Not only is it essential but it is also very important to be aware of several safety rules and regulations as this could hamper the smooth functioning of your office due to legal issues. This article does not focus on the legislation regarding workplace safety, but on providing several tips for ensuring that you and your employees have a safe working environment. Keep your working area neat and clean. Piles of papers and stacks of files combined with a tangle of wires are a disaster waiting to happen, on several fronts. A clean work space will also enable you to identify a problem and tackle it faster and more effectively. Ensure that all your doors and windows have security locks. If you are an establishment that deals with cash on a daily basis, then you may attract burglars. Install security cameras at doors and exits. This will help you record the images of thieves and such and help the police in locating the culprit. In order to avoid slipping and injury, it is essential to have the floors moped clean and dry. Secondly, walkways and stairways should have a good lighting. Employees should make sure that their computer and keyboard are kept at proper position to avoid eye and wrist problems respectively. Similarly, sharp objects like scissors, blades, paper cutter, stapler pins, etc. should be kept away and at safe places. The above is an excerpt adapted from the article,”Office Safety Tips – Safety in the Workplace.” For more information, please visit www.buzzle.com/.